American Indian Warriors – Pvt. Peter Moore & Pvt. 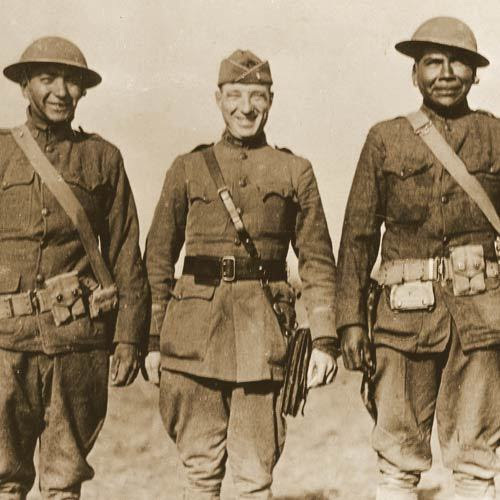 James Morrison both Pima Indians, flanking 1st Lt. Wayne Flowree all of the 2nd Division. Learn all about WW1 THEN and NOW while you drive, work or play. This entry was posted in World War One Centennial Commission and tagged World War One Centennial Commission on January 13, 2019 by Michael K. Barbour.